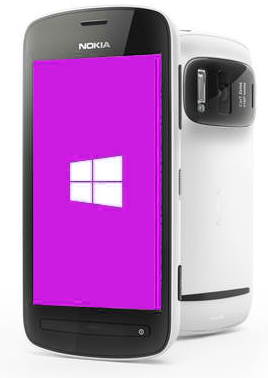 Nokia EOS PureView 38MP Windows Phone 8 Smartphone, Arriving This Year?! Are You Willing To Wait For It? I've always said that Nokia 808 PureView is the best cameraphone in the world today. Heck, its imaging capabilities are so good that I even ranked it as the second best smartphone of 2012 -- that's despite the fact that it runs on Symbian, which - as some of you say - is already a tad dated (though I must note that Nokia Belle FP2 touch response is almost as good as that of Android 4.1 Jelly Bean). I own a Nokia 808 PureView and it has totally become one of my trusty sidekicks in tech events and even in family gatherings. When there's a moment that needs to be captured, I can really rely on this handset to do so with stunning clarity and brilliance. Largely because of this (and of the phone's unique and eye-catching design), I don't think I'll ever be shy in saying that I love 808. And that's exactly why I couldn't help but feel excited when I heard about this supposed Nokia EOS, which - as some 'sources' say - will be the first Windows Phone 8 handset to come with Nokia's 'true' PureView imaging innovation. Hence, it will combine the best of what Microsoft has to offer software-wise and the best location services and imaging capabilities that only Nokia can provide. According to 'industry insiders', Nokia EOS will come with an aluminum enclosure and will run Windows Phone 8 operating system. But the one thing that will truly set it apart from all other WP8 handsets (or all smartphones currently out in the market, in general), is that it will feature a 38 MegaPixel camera, which will enable it to compress pixels and deliver true 'PureView' images just like the Nokia 808 PureView. Now, isn't that super?